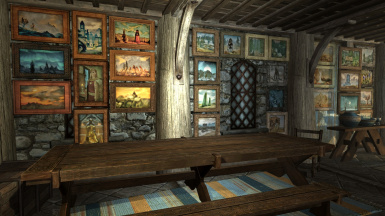 There are no any paintings in Skyrim by default. So I created this resource for modders to use and fill this gap. All 59 paintings have new frames and different textures created by me from scratch. And should be lore friendly too. that checkbox near PaintingsTest.esp file is selected. 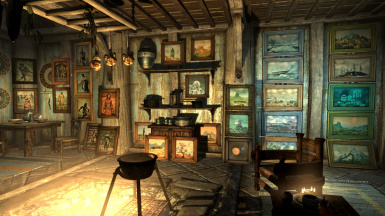 You should be moved to the place where I put all paintings on the walls. » Delete the same files you copied previously during the installation proccess. all meshes and textures from this resource in your Skyrim's mods freely.